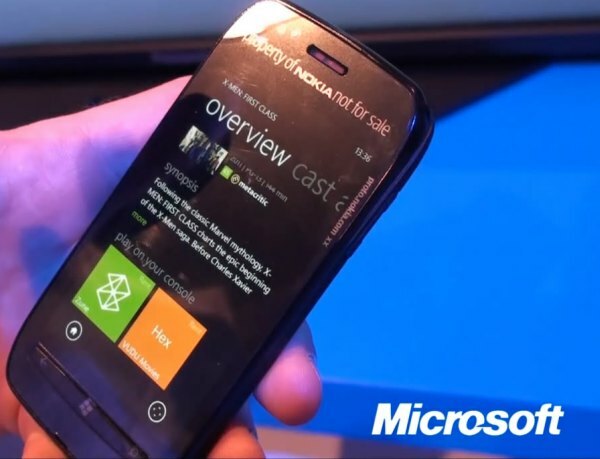 Now that Nokia has announced new hardware in the form of the Lumia 710 and Lumia 800, Microsoft is using Nokia World 2011 to showcase Windows Phone 7.5. They were showing off demos of an Xbox Companion app that will act as a basic remote control. That in itself is a nice find, but there’s more. A closer look reveals an orange tile that says “VUDU Movies”. Vudu’s streaming music service was purchased recently by Walmart and it’s available through the PS3. It certainly looks as if the Xbox 360 will start offering VUDU. It will be interesting to see if there is any viewing ability on Windows Phones or if this is strictly bring remote capability allowing you to use your phone to control Vudu on the Xbox.